« Do Huckleberry Rakes Kill or Damage Plants? A week or so ago, we published a written copy of Dr. Barney’s interview with Kristina Johnson who is a food and agriculture reporter. 3. What ecological/human threats face the wild berries? 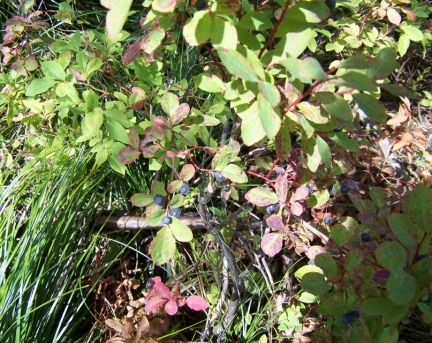 Although the size and number of colonies are decreasing, none of the western Vaccinium species are threatened or endangered. Most are quite robust throughout their ranges, although some species are far more common than others. 4. Your report on growing the western huckleberry explains how people can plant the bushes by seed or transplant. My horticulture know-how is likely limited here, but how is that different than domesticating the plant? Domestication involves developing improved varieties and production methods that allow the crops to be grown reliably and easily in commercial and noncommercial settings. Domestication also means having a consistent and predictable product. You may have a favorite apple or peach variety, for example. You know what a ‘Golden Delicious’ apple looks and tastes like. You know what to expect. We were trying to develop the same predictability and quality level with huckleberries. 5. Who are the commercial pickers? Are they people who primarily make their living off of foraged forest products? Commercial pickers range from individuals, families, and small groups that pick small quantities of berries and sell them alongside the road to large, professional crews hired by brokers or processors. Some of the commercial crews represent immigrant labor, but not all. Picking usually commences in early July and runs until the berries are frosted off in September. The major period is mid-July through late August. Obviously, this is a part-time job and is often used to supplement income from other seasonal jobs, such as work at a ski resort. 6. Are there any estimates as to how much money the annual harvest amounts to? Are there maps that show the largest harvest regions within each state? (I grew up spending summers in Montana, so I remember all the buzz around huckleberry jam, ice cream, pies. The berries were a tourist magnet). The berries remain a tourist magnet and there are myriad huckleberry products available – culinary, cosmetic, ornamental, and nutraceutical. I have been away from the industry for five years, however, and no longer have current economic figures. You might consult with an economist at one to the regional universities for better information. 7. You mentioned in your email that some of the berries likely go to export. Can you expand on who the primary buyers are for huckleberries? My information regarding exports is apocryphal, so I will not elaborate. My understanding is that there was a demand for freeze-dried huckleberries for Pacific Rim markets, but I have no documentation to support that assertion. 93 mySQL queries in 0.173 seconds.